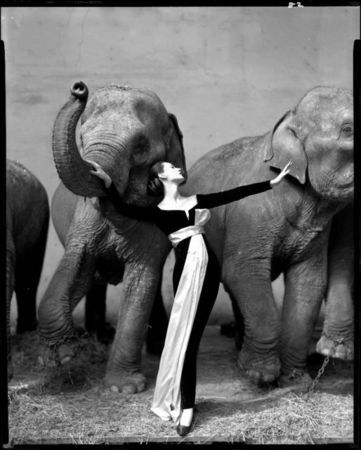 NEW YORK (AP).- One of Richard Avedon's most defining photographs is of a willowy model adorned in a Dior evening gown, a silk sash cascading down her slender leg, striking a dramatic pose against a row of circus elephants. It is signature Avedon. Dramatic but playful, an image shot on a hot summer day in 1955 at the Cirque d'Hiver in Paris. 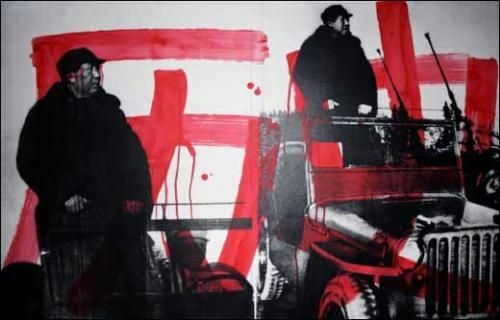 An exhibition-size print of the famous picture, "Dovima with elephants," will be sold this fall in Paris, together with more than 60 other photographs, Christie's auction house said Friday. It is estimated to sell for $500,000 to $700,000 (euro 400,000 to 600,000). The total Avedon collection is expected to bring $3.7 million to $6 million (euro 3 million to 5 million). New York-based Avedon Foundation, the largest repository of Avedon works, is for the first time selling photographs from its archive to establish an endowment to promote the work and legacy of the master fashion photographer and portraitist of such famous people as Marilyn Monroe, the Beatles and Malcolm X. The foundation and Christie's said it was the largest number of Avedon works to ever come on the market. Avedon, whose career spanned 60 years, died in 2004 at the age of 81 while on assignment in Texas for The New Yorker. He is famous for creating ultra-choreographed tableaux that seem serendipitous, with elegantly attired models leaping, jumping and dancing across the page. His influence in the fashion world was immense and helped pave the era of the supermodel through his work with Jean Shrimpton, Veruschka and Twiggy. The Nov. 20 sale will be in Paris, a city with whom the native New Yorker had a decades-long connection, shooting couture collections for Harper's Bazaar and Vogue. It will coincide with the monthlong Photo Paris festival. Christie's made the announcement to The Associated Press before the Rencontres d'Arles photography extravaganza of exhibitions and events in the south of France next week. "Richard Avedon is by any standards a towering figure in the story of photography," said Philippe Garner, Christie's head of 20th-century decorative arts and photographs. "His work has power, authority and intensity, very distinctive signature." He called "Dovima" — the name of one of Avedon's favorite models — "absolutely emblematic of that kind of flair, that pizazz he injected into fashion photography." Paul Roth, executive director of the Avedon Foundation, said the "Dovima" was the crown jewel of the sale — and the largest exhibition print of the image ever made. Measuring 88 inches by 60 inches, it was shown on the national tour of Avedon's 1978 Metropolitan Museum of Art fashion retrospective. 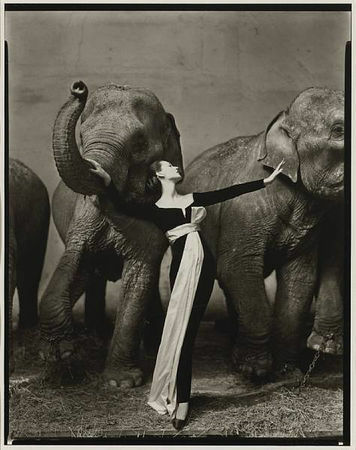 It was also the print that for two decades greeted visitors to Avedon's New York City studio. Avedon left strict instructions detailing the foundation's purpose. It was established a year after his death "as his intended vehicle for continuing his legacy" and supporting visual arts and photographic education, Roth said. In a 1973 interview, Avedon said, "There's always been a separation between fashion and what I call my 'deeper' work. Fashion is where I make my living. ... Then there's the deeper pleasure of doing my portraits." People from Marilyn Monroe to Michael Moore coveted having their portraits taken by the photographer, whose signature style was known simply as "The Avedon Look" — unsparing, often unsmiling shots of his subjects against a minimalist white background. A very small vintage print of a pensive-looking Monroe in a sequined dress taken in 1957 is among the portraits at Christie's. The auction house predicted it would sell for $100,000 to $150,000 (euro 80,000 to 120,000). Among Avedon's other works was a series of images of the civil rights movement. It includes a large photo of Malcolm X, an out-of-focus print from 1963 that was made expressly for Avedon's retrospective at the Whitney Museum of American Art in 1993. 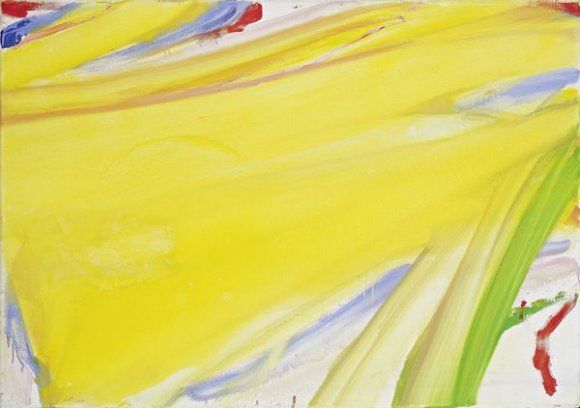 Christie's estimates it will sell for $10,000 to $15,000 (euro 8,000 to 12,000). 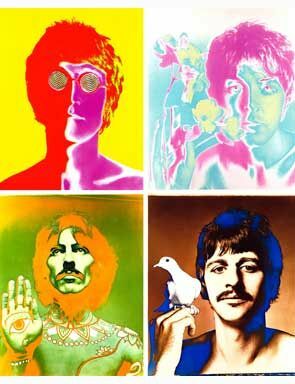 Avedon's Beatles portfolio, a group of four psychedelic color pictures of each of the Fab Four made at the height of their fame in the late 1960s, is another highlight of the sale. He created nine editions of the portfolio, one of which set an Avedon auction record at a 2005 Christie's sale, bringing $464,000 (euro 383,471). The one at the upcoming sale has a pre-sale estimate of $300,000 to $500,000 (euro 250,000 to 350,000). By: Ula Ilnytzky, Associated Press Writer. Copyright 2010 The Associated Press. Richard Avedon, one of nine editions of the Beatles "Portfolio". AP Photo/Christie's, Richard Avedon.